Our power divider allows you to stack and phase your antennas 'the right way'! Rather than using coax cables of varying impedance and quality, the InnovAntennas power splitter allows you to use quality, transmission grade 50 Ohm coax cable from your rig right up to the antennas themselves. 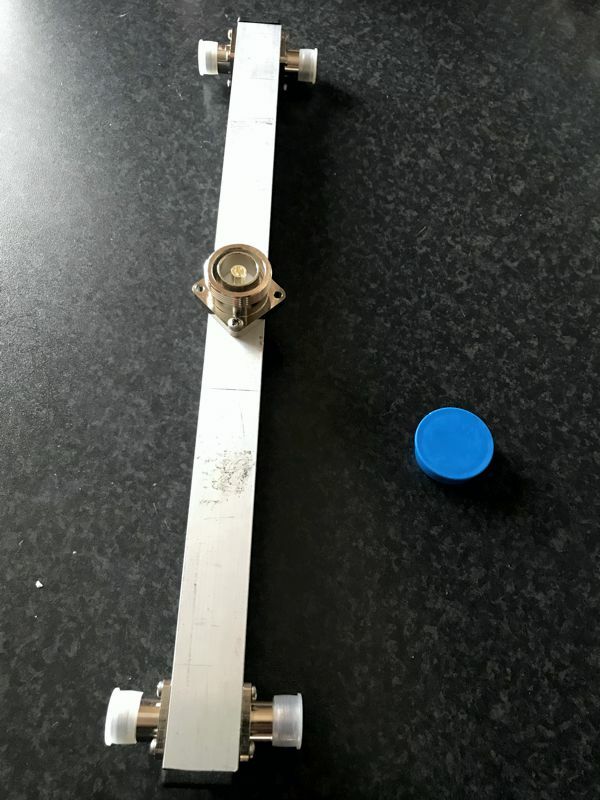 No 'special' lengths of coax need to be cut either, provided the 4 runs of coax from the splitter to the antennas are the same length, you are good to go! Do feel free to contact us if you wish to discuss your requirement, we will call you back to save call charges if you wish!